Looking for hotels near Leidseplein? Located in the heart the canal belt, lifestyle hotel Andaz Amsterdam Prinsengracht - a concept by Hyatt offers elegant design rooms with free Wi-Fi. Everything. Hotel is hip and beautiful. Location is the best. Room and bed very comfortable. The luxurious Conservatorium Hotel, part of The Leading Hotels of the World, is located within 656 feet of the famous Vondelpark and Museumplein. the linen of the beds and the illumination of the room. Boutique hotel The Dylan is set along the Keizersgracht canal, in the heart of Amsterdam. 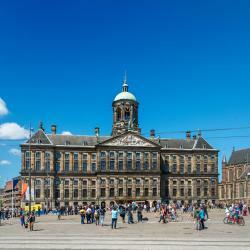 Dam Square is a short walk away. The on-site restaurant Vinkeles has a Michelin star. We’ve travelled the world staying in the best hotels. Set along the edge of the famous Herengracht canal, Banks Mansion features Art Deco design and original features. Amazing hotel. Room was simply fabulous, you feel like home the minute you step inside. Only a 5-minute walk from Vondelpark and Leidseplein, this 3-star hotel features a courtyard garden with a seating deck. The simple yet functional rooms feature a TV and a modern bathroom. The room is clean and bigger than we expected. The beds are very comfortable. The washroom is clean. Each room in the 4-star Albus Hotel Amsterdam City Center has a flat-screen TV with a special guest communication portal. The Flower Market and Rembrandt Square are a 3-minute walk away. The welcome was very personable, staff were really friendly! 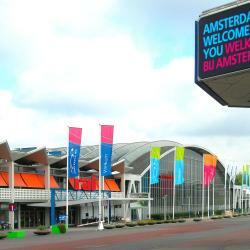 Hotels with great access to Leidseplein! Located in the Oud-West district of Amsterdam, Hotel van de Vijsel is 984 feet from Leidseplein. We loved the hotel. We couldn’t have asked for a better experience. Personal service and hospitality in the heart of Amsterdam make this cozy family hotel a great base for your vacation. Enjoy the simple, elegant guest rooms and free Wi-Fi. We liked the location - just s block from the Van Gogh Museum. Easy access to trams and busses. This popular hotel is located only steps away from the flower market and Leidseplein. A characteristic Dutch breakfast with omelets and pancakes is served until 12:00 in the afternoon. Great location, very clean, and delicious breakfast! Rented bikes across the street. This boutique hotel is located 200 meters from Leidse Square and is surrounded by restaurants, movie theaters and clubs. Each morning, fresh bread is brought to your room. The room is bigger and cleaner than the most of other hotel rooms. Boutique Hotel View is in the city center of Amsterdam, in an authentic house overlooking the canals. It is 170 yards from the De La Mar Theater and around the corner from Leidseplein. Great location! A really nice room 😊 Very friendly amd helpful staff! Will be back for sure! Lots to do very diverse neighborhood. Lots to do very diverse neighborhood. Many hotels, cafes, coffee houses, restaurants and shops. You will also find film, theater and live music. A fun walk through the neighborhood will take you to the flower market. Excellent Public transportation. You need a reservation and it’s he too tourist site in the city. I booked as soon as the openings became available ( online only), about 2 months in advance. Let a mom and Daighter who didn’t know about advance only booking only, so missed out. Sobering experience , well done. Walk from Leidseplein to LeideStraat towards Kovarsraat. My hotel was there, and it's a great location. My hotel was there, and it's a great location. However, they are turning this area into a pedestrian square and redoing all the tram lines. As of October 2016, it's a huge construction site and according to the folks I talked to said it may take a year or more to finish. Check before you go because the tram service around Leidseplein is not working. Fabulous restaurants at very affordable prices and visit 'Le Pub' in the main square to sit outside and take in the ambience. A great little jazz bar there too called Bourbon Street open late - well worth going there. People are talking about Leidseplein! Explore guest hotel reviews featuring "Leidseplein"
EVERYTHING was amazing! Great location right next to the Vondelpark and 5 minutes walk to Leidseplein. We had the most wonderful time, the apartment and garden both exceed expectations, as did the warm welcome of Patrick and Charles, the most charming friendly hosts, the freshly baked apple pie was fantastic and the beautiful flowers everywhere really made us feel so special. It was so spacious, modern and comfortable we felt like it was a home from home and we were safe and so well taken care of. We can't wait to come back again! The location is great, just beside Leidseplein. There is a supermarket downstairs which is very convenient. There are also facilities to cook your own food and smoking areas. There is also a cat at reception which for us was adorable. Even though their map was outdated, they have plenty of information for tourists and some discounts. The location was good. It's easy walking distance to a variety of bars/restaurants/coffeeshops. Was inexpensive. Easy to find via tram because it's located so close to the leidseplein stop. Overall a very good experience. 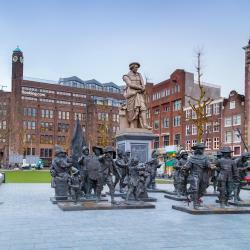 Great location, close to Leidseplein, restaurants, shops and walking distance to the Museumplein where you have all the museums (Rijs, Van Gogh museum...) Very nice staff Very nice hotel, good facilities and great breakfast! Great location in Leidseplein - close to everything but not overly noisy at night. Gerrit was very nice and helpful from check-in to check-out. I'd love to stay here again for my future trips to Amsterdam! 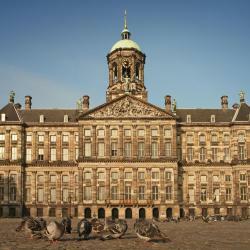 It's very convenient to museums, restaurants, and transportation being so close to Leidseplein. The staff is friendly and helpful. Breakfast is freshly cooked. Just a block from Leidseplein, where there is always lots going, many food, music, and drinking options! Also tram options from Leidseplein to all over Amsterdam. Great location with Leidseplein around the corner. So it's really only 5mins walk into the inner city circles. Everything is so close. We were walking all the time because the whole city is beautiful. Hotel is near Leidseplein and we went to Dam Square, Cetraal, Red Light District, Rijksmuseum, Flower Market...easy peasy. Get on the Hop On/Off Bus in Leidseplein which takes you to all the tourist hot spots. 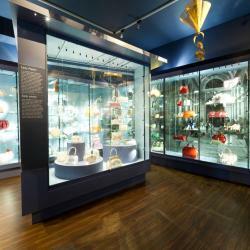 Going to the museums are a must!